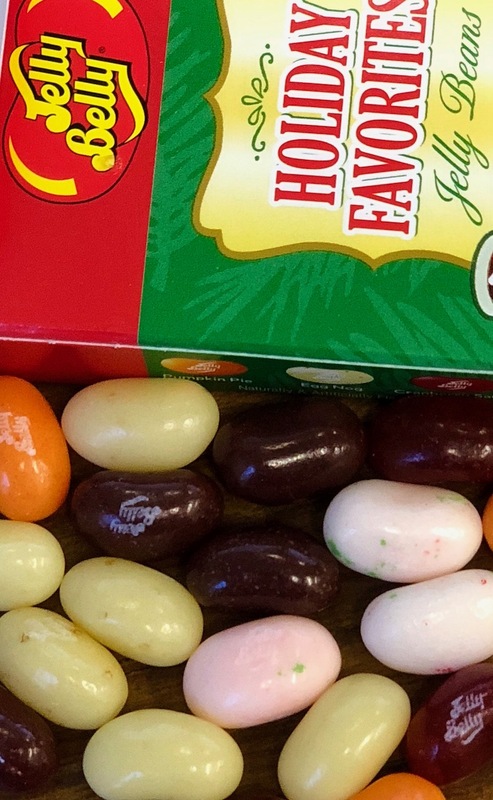 I enjoyed the Jelly Belly Holiday Favorites Jelly Bean mix more as a novelty than an enticing candy. The assortment is a fascinating amalgam of holiday-themed flavors--pumpkin pie, egg nog, cranberry sauce, hot cocoa, and candy cane. The cranberry sauce and candy cane are pretty delicious although they don't really combine well. The eggnog is not exactly tasty, but certainly a recognizable version of the traditional holiday beverage. The pumpkin pie was disgusting, but then again, I think the real thing is pretty gross. If you're a pumpkin pie fan, don't trust me on this one. It tasted all-too real to me. Finally, the hot cocoa was the same disappointing chocolate jelly bean flavor that never works. 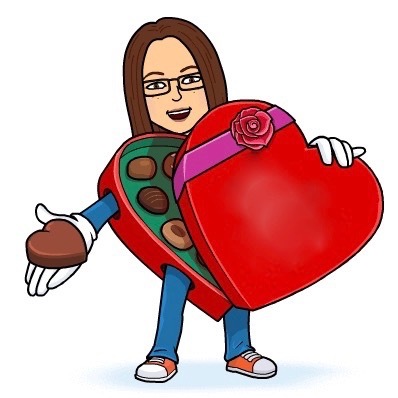 I've never met a chocolate jelly bean I enjoyed. So yes, these Holiday Favorites make a fun stocking stuffer or silly gift for the holidays but don't purchase for the flavors. 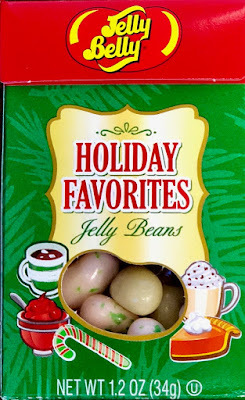 I would recommend the Jelly Belly Christmas Mix, instead.